No matter the type of vehicle transportation business you run, making positive sales month after month should always be a cornerstone of your operations. That said it is important to remember just how you go about doing that on a consistent basis. For some businesses, they literally do not have to do much at all to see the sales revenue trickle in month after month. Others, meantime, are scraping the barrel dry in many instances, worrying on a regular basis if it will be a good month or one they would gladly like to forget about. Keeping those thoughts in mind, companies in the vehicle transportation business have a plethora of customers to choose from. Unfortunately for some companies, the majority of customers end up not choosing them for one reason or another. If you’re one of those companies in the latter group, what can you do to improve how you go about transporting customers from one spot to the next? Oftentimes, it is stellar customer service that does the trick, something not all businesses have mastered over time. So, if you’re ready to transport more business your way, what needs to happen? With all the potential business awaiting you, will you be prepared to act accordingly, allowing you to scoop up customer after customer? Part of doing just that means utilizing car sharing technology, something your business can certainly capitalize on. For those not up to speed on how this works, the basics entail having the right platform in place to oversee each and every operational need involved with a car-sharing company. You can and will be able to decide what the service rules are, along with taking care of both customers and suppliers. With car-sharing, you get customers from point A to point B as quickly and safely as possible. In doing so, you can oversee such key matters as vehicle monitoring, how each and every service area is managed, and of any damages that occur to vehicles in the fleet. Making the process even better for both you and customers, having the latter with access to your specially designed app. That way they can sign-up for the program, allowing you to check on both who they say they are and of course their driving history. Lastly, having the right program in place allows you to monitor and organize how you will go about getting compensated. From billing to actually receiving payments, you don’t want to fall short in this key component of your business. Remember the mention a moment ago about your own business app? In marketing your car sharing business, be sure to use your mobile app as one of your best promotional resources. Your app is great for providing consumers with not only information about your brand, but also content related to the car sharing industry as a whole. You should also use your social networking sites to promote your business, notably those venues like Instagram and Pinterest that are heavy on the image side of things. Finally, provide your best customers with incentives to keep coming back over and over again. In doing so, they can be some of your best marketers; telling friends and outside family members about what your business offers. 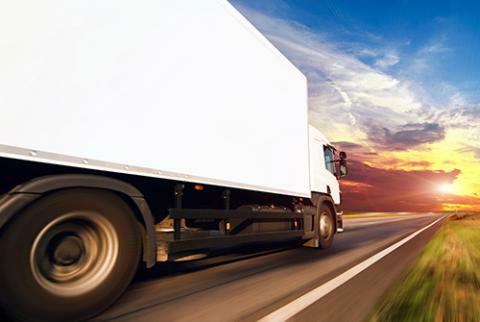 As the vehicle transportation industry continues to evolve, will your business be there to transport success for many years to come?